No matter how healthy I eat, how much yoga I do, how hard I run, meditate or relax, my intestines like to go rogue every now and again. Gas, bloating, constipation, it’s nasty. I’ve correlated much of my digestive symptoms to food, emotions and activities, but 6 times out of 10? I have no idea why I feel awesome one day and horrible the next. I know I am not the only woman that prays for her digestive system to be normal, reliable and healthy. 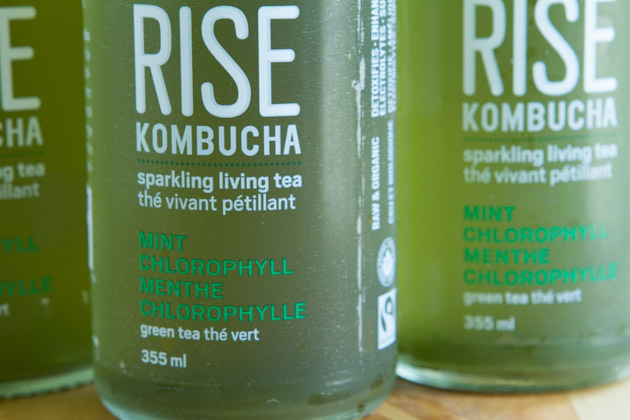 Digestive balance was the #1 reason I agreed to do a 30-day RISE Kombucha challenge last month. Kombucha has LOADS of healthy bacteria and, since my digestive system responds well to mega-dosing on probiotics, I thought that maybe kombucha would help to achieve the same thing. I noticed a change in my digestion on day 3. Regularity replaced volatility. Gas and bloating decreased with each bottle. By day 9, I felt like my body was on the other side of a juice cleanse. I wasn’t reacting to foods with gas and bloating, I wasn’t cravings sugary crap, my mind was clear. As my digestive system became more normal (normal like, 2-3 times a day normal… if you know what I mean) my skin started to clear up. Minor acne began to heal itself around day 9 and by day 16, I had no more blemishes. My skin started to glow around day 21. Not only that, but I just feel more balanced. My immune system feels stronger. My body feels cleaner. My organs are happier. All of this in one little 355ml drink, once a day. 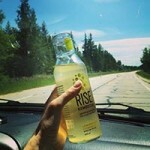 Did you join in on the 30-day kombucha challenge? What sorts of things did you noticed? Have you tried kombucha? Are you scared to? I want to hear from you!